Over the past 16 years Cheryl has been ministering in the inner city by building deep relationships with young women and mentored them through their spiritual walk. She has been the constant for young mothers trying to navigate life and love in times of struggle. experiencing God’s incredible creation. Matt’s joy is being outdoors in any season leading life-changing experiences for youth through Manitoba’s backcountry. To give towards Matt and Cheryl's ministry, click here! I'm from the small town of Landmark, Manitoba. I grew up in an Christian home but got involved heavily into drugs, alcohol, and gangs and fell away from the Lord. After serving over two years in prison, I got released in Calgary, Alberta, to start the next chapter of my life. After some more severe adversities in Calgary, I finally gave it all over to Jesus in the summer of 2015. I was born again! I started feeling intense empathy, sympathy and compassion for the street people and began spending my evenings on the streets with them, buying them meals, praying for them and sharing my story for encouragement. The Lord has so firmly placed this calling on my heart (Philippians 2:13), I'm honored and privileged to have this ministry (MISSION7), and most importantly by the grace of God being able to be an ambassador for Christ (2 Corinthians 5:20) representing him everywhere my feet shall tread! To give towards Derek's ministry, click here! 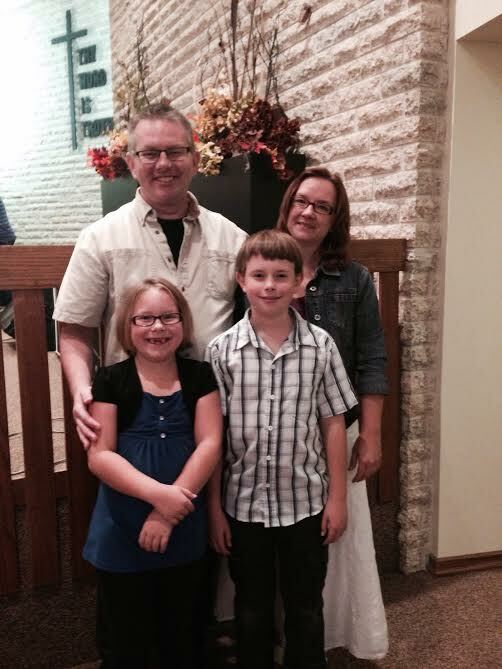 Ryan Rempel is our Canadian missionary based in Winnipeg, Manitoba. Ryan founded Give the Word in 2013. It started with a passion to share the gospel and to see people come to faith in Christ. Ryan's goal was to make the Bible free and available to people who wanted to share the gospel. Give the Word has now grown into a full time ministry donating over 50,000 Bibles per year to ministries across the country. Ryan is also a speaker on the topic of evangelism, speaking at churches, conferences and events all over the country. So, what's the mission and goal of Give the Word? Give the Word is about Found people finding people. The Bible is the most powerful tool we have. Since we operate on donations, our goal is to take cost out of the equation when giving away Bibles. We want to make the Bible available to people, ministries, and organizations who are passionate about sharing the gospel. Equipping Christians for outreach with Bibles designed for outreach is really our main focus. It's really that simple. Give the Word...because the gospel changes everything! To give towards Ryan's ministry, click here! Jordan St. Cyr is a contemporary Christian artist and worship leader from Winnipeg, Manitoba, Canada. He is the most recent winner of Nashville Rising Star and is a Covenant Award nominee. He and his amazing wife Heather have three beautiful children Aidan, Liam, and Willa. To give towards Jordan's ministry, click here! Rob and Priscilla work with Ryan Rempel at Give the Word in Ministry Development, building awareness and relationships with different ministries and organizations to help them minister to their networks. Rob and Priscilla live just south of Winnipeg in Blumenort, MB and have fun with their two energetic children, Jesse and Cassandra. Priscilla works in the finance department of a local roofing company and Rob has a home studio voice over company www.varietyvocals.com which he often uses to help promote Give the Word. If you know of an organization that needs a voice, he’s always there to help. To give towards Rob and Priscilla's ministry, click here!